DRISCOLL BABCOCK GALLERIES presents Corpus Americus, an exhibition of contemporary American art that explores the question, “what does it mean to be an American today?” The exhibition’s title is derived from the Latin phrase Habeas Corpus, which translates into "you shall have the body." Habeas Corpus is an important, often-manipulated legal instrument safeguarding individual freedom from arbitrary state action. The human body, manifested through art, is an apt symbol to represent our individual lives, as well as our shared fate. Corpus Americus is a collection of new work by a dynamic group of 10 emerging and mid-career American artists that challenges the viewer to consider the evolving notion of individual and collective American identity. Working in a range of media including painting, drawing and sculpture, the artists featured in the exhibition present varied manifestations of the human body as a proxy, representing American identity politics and social hierarchies. In their work, the artists employ myriad methodologies and processes to present emotionally charged presentations of the human body. While all of the exhibition’s contemporary artists do not necessarily work exclusively in portraiture or figuratively as a practice, all are interested in confronting conventional notions of identity and representation. Corpus Americus is curated by Dexter Wimberly and features work by artists: Margaret Bowland; Caitlin Cherry; Derek Fordjour; Valerie Hegarty; Doron Langberg; Simone Leigh; Mario Moore; Jenny Morgan; Jennifer Packer; and Nathaniel Mary Quinn. 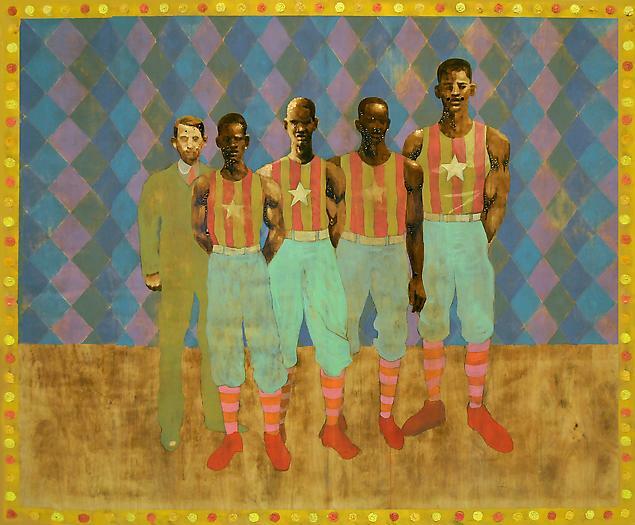 Included in the exhibition is Derek Fordjour's FEARLESS FOURSOME, a large-format painting depicting the all-black players of a fictional, early-American basketball team, along with their white coach or team owner. Fordjour uses the economic, political and psychosocial implications of games to discuss the power structure that exists around rewards and sanctions, merit and punishment, for both the player within the game and as an allegory for the broader human experience. Valerie Hegarty's SHIPWRECKED ARMOIRE WITH BARNACLES, recalls the darker side of expansionism and mercantilism with its haunting skeleton. What was once a container for clothing in a wealthy home becomes a strainer for the ocean and its secrets. This fabricated early American armoire appears as if it has been cast out to sea, floating in the ocean like driftwood and overgrown with barnacles, perhaps a casualty of a storm inspired from the many shipwreck scenes in Maritime art. Or there is the possibility of an alternative narrative where a cataclysmic flood entered the home, only receding when all its contents were turned into a coral reef, the armoire coming back to life as a living skeleton of barnacles. 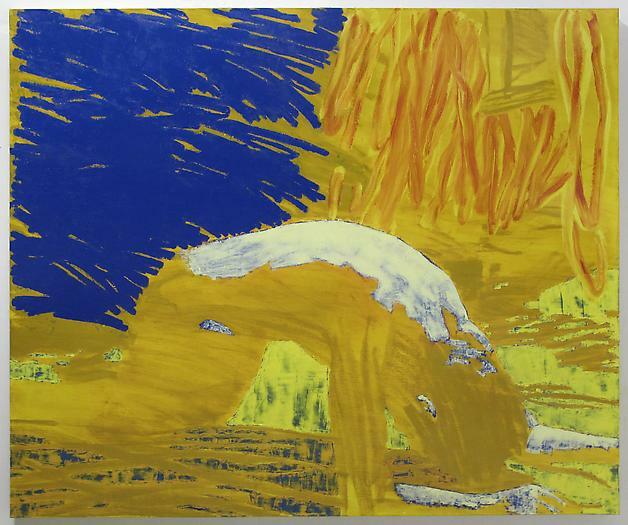 Doron Langberg's painting, ON ALL FOURS #3 depicts an experienced or imagined moment of love and desire. "When confronted with views about queerness, either personally communicated to me, publicly expressed or embedded in institutional policy, I often feel that they do not correspond with my own experience of sexuality," states the artist. "Through the form and materiality of my paintings I want to urge the viewer to empathize with the intimate experiences they depict." Curator Dexter Wimberly was born and raised in Brooklyn, New York. Wimberly’s curatorial work is focused on contemporary urban history. “I love art that reflects our times, and I am excited to be in the position to work with artists who are shaping contemporary culture and bringing the beauty of under-exposed aspects of modern life to a greater public. I feel that this is my calling within the arts.” A passionate collector and supporter of the arts, Wimberly has personally exhibited the work of over 150 individual artists. His recent exhibitions include: Crossing the Line: Contemporary Drawing and Artistic Process at Mixed Greens Gallery, New York, NY; and Pattern Recognition at the Museum of Contemporary African Diasporan Arts (MoCADA). 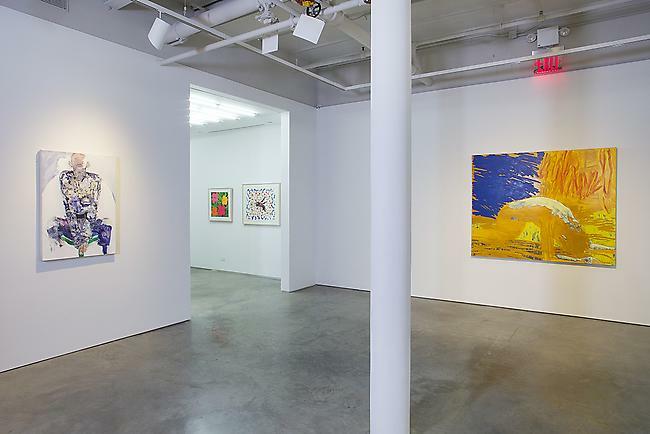 Please note the gallery will be closed for the holidays November 28-December 2, 2013, and December 24, 2013- January 1, 2014.